The KDT Neural-Flex System incorporates all of the popular design features and accessories of the original KDT System. MDTU 4 decompression table. Includes all accessories and Saunders cervical attachment. Saunders 3D Active Trac decompression table. Includes Deluxe electric hand control. 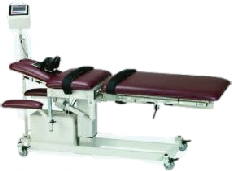 The Kennedy KDT decompression table is one of the first decompression systems to offer high quality performance and an economy price. Chattanooga CDTU 4 decompression table. Includes all accessories and Saunders Cervical Attachment. Eurotech DOC decompression table. Includes pre-programmed lumbar and cervical decompression protocols. Decompression table accessories including traction belts, decompression education software, and cervical traction units. 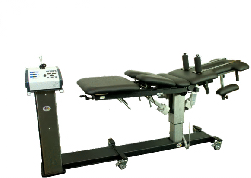 We carry a wide array of used decompression tables. 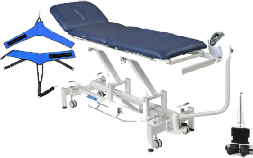 All used decompression tables come with a full one year parts warranty.